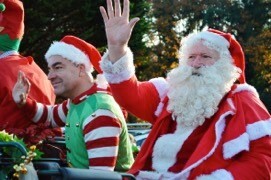 Hundreds of people came to Squire’s Garden Centres last weekend to see Santa arrive in style. 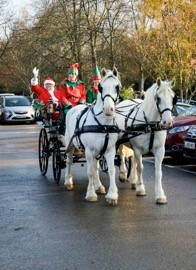 Instead of coming on his traditional sleigh he arrived at Squire’s in Milford and Woking on a Horse Drawn Carriage, and at Squire’s in Twickenham he came on a Routemaster Bus! 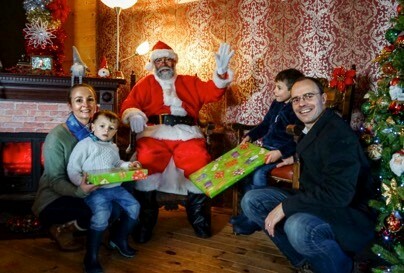 Santa came to Squire’s to open his magical Christmas Grotto, which you can visit on Saturdays and Sundays, plus the week before Christmas at selected centres. As well as seeing your child’s face light when they see Santa and receive a beautiful wrapped gift, you’ll also get a warm glow, as you’ll be benefitting a local charity. There’s no need to book, simply turn up on the day. For full opening times see www.squiresgardencentres.co.uk. 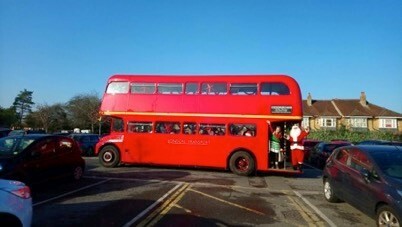 Santa arrived on a Routemaster Bus at Squire’s in Twickenham last weekend!